Anthony McGill suffered a first round exit at the Coral Shoot Out in Watford on Thursday as the defence of his title ended with defeat against Mark Davis. 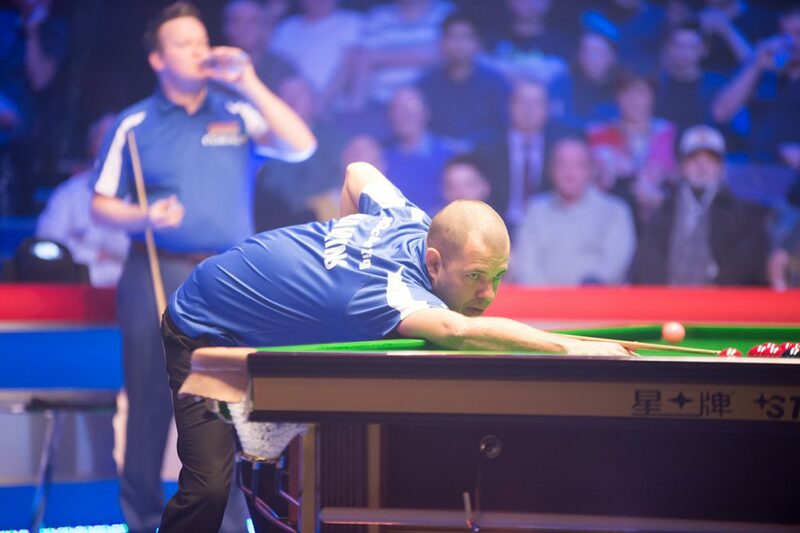 McGill captured his second ranking title last year at the one frame knockout event but he was in the arena for less than ten minutes this time as Davis made a superb break of 102, only the 12th century in the history of the tournament. Davis goes through to the second round (last 64) which starts on Friday evening. Ben Woollaston faces an anxious wait over the next three days to find out whether he will qualify for the Ladbrokes World Grand Prix, as he lost to Duane Jones. 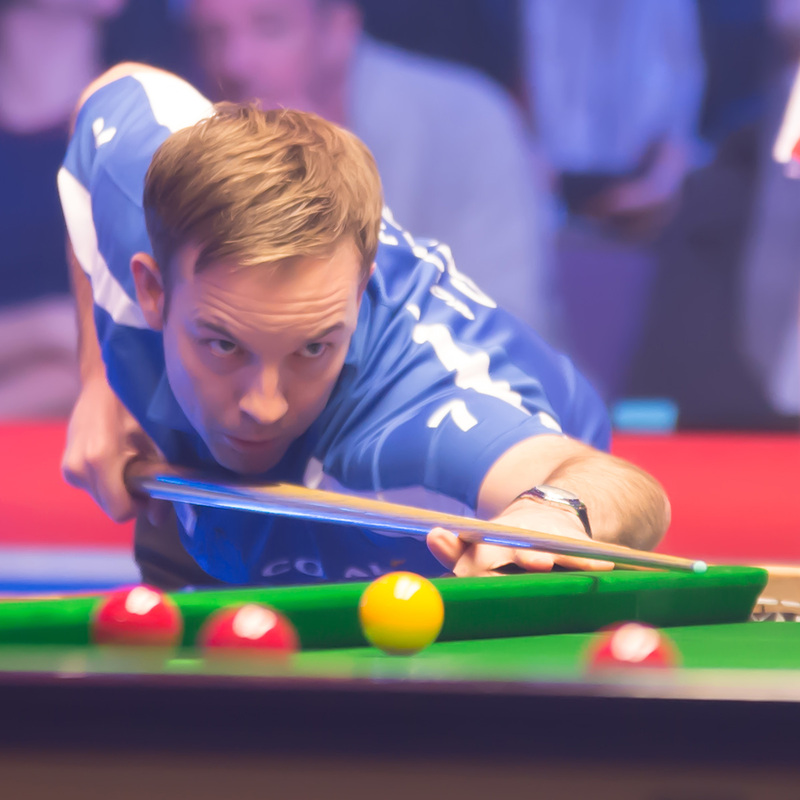 That result leaves Woollaston in 32nd position on the one-year ranking list and if Tom Ford wins his opening match on Friday he will leapfrog his fellow Leciester cueman (read more about that race here). Shaun Murphy was the highest ranked player in the event but he failed to score a point as he lost to Barry Hawkins. Breaks of 42 and 25 put Hawkins into the next round. Crowd favourite Jimmy White raised the biggest cheer of the evening session by beating fellow veteran Anthony Hamilton thanks to a run of 32. In the most dramatic finish of the day, Ross Muir led John Astley 43-39 with 30 seconds on the clock when he missed the last red. Astley potted the red and was fortunate to see the cue ball hit the jaw of a centre pocket and finish on the black, which he slotted in to claim victory. In another exciting tussle, Jack Lisowski led 27-26 as the clock ticked down, but misjudged a safety on the penultimate red, allowing Switzerland’s Alexander Ursenbacher to pot red and blue and get his name in the draw for round two. Egypt’s Basem Eltahhan scored his first ever win on the pro tour by beating Li Yuan. Ali Carter made a break of 58 to see off Craig Steadman while in-form Mark Williams just needed runs of 23 and 20 to beat Li Hang. Former Shoot Out winner Martin Gould beat Ken Doherty while 2015 World Champion Stuart Bingham got the better of amateur James Silverwood.